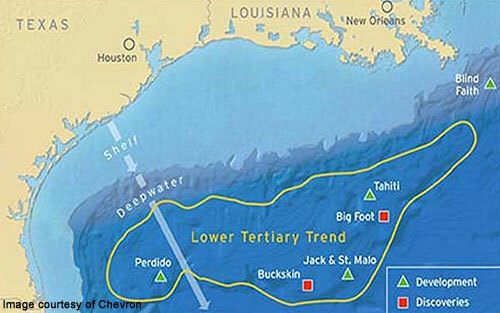 The Jack and St Malo fields, located 700 miles offshore, will be developed by a massive floating semi-submersible production facility, which will be installed at a depth of 7,000ft. 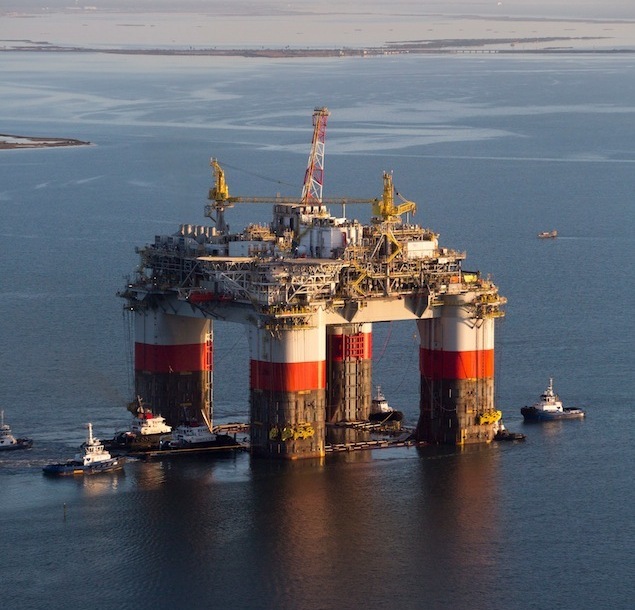 Its topsides will weigh 33,000t and the facility will have a capacity of 170,000bopd and 42.5mmscf per day of natural gas. Lo-Rez has supplied couplings for 2750 HP reciprocating compressors on the Jack and St Malo production platform. Commissioning is currently underway. Photo shows the platform being towed into location earlier this year.